Hello Everyone! I am back. Sorry i have been missing with blogging. To be honest my internet was cut off for a week and that is why i haven't been posting looks for a while. During that break i took many photos. I will be posting my past looks and outfits i wore for the past couple of days. This look was actually taken in the Philippines. We rented this amazing hidden resort in Batangas. I love this place so much because this place is private and you can pretty much do anything you want. I have been a good boy, so nothing rebellious but i did have a little bit of rum. 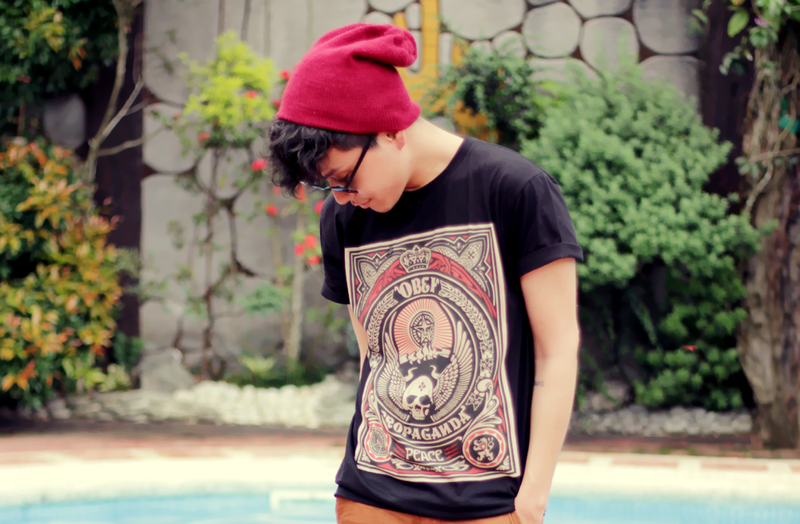 For this look i made it very casual because it is very hot in the Philippines. I tried to look trendy other than looking like normal people would wear on very hot days. Hope you like this look. More photos to come. 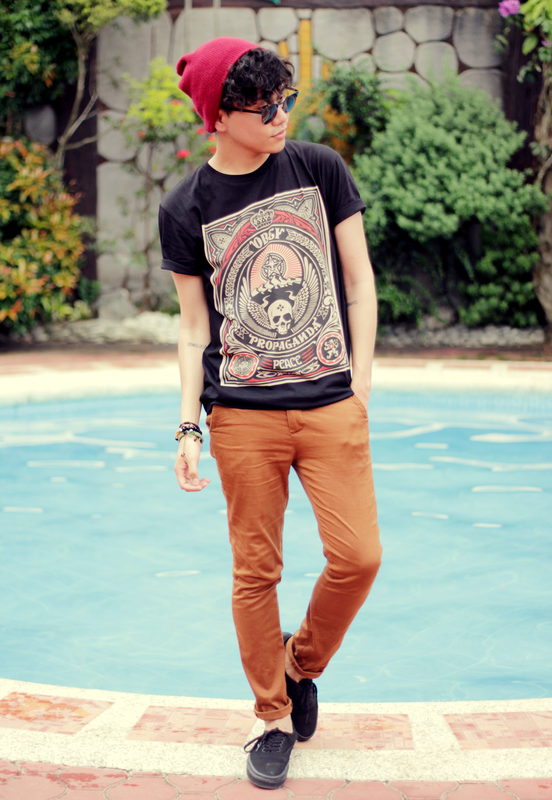 shirt by obey, chinos from hm and shoes from vans. I really enjoy your outfits! Thank you for inspiring me to start my own blog :) Please check it out!